Don’t think you will get a good inspection ..... Know that you have gotten a exceptional inspection. 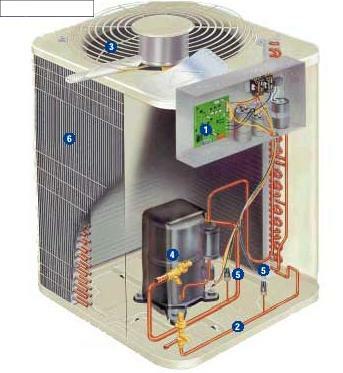 Your real estate inspectors will inspect the heating and air conditioning components. 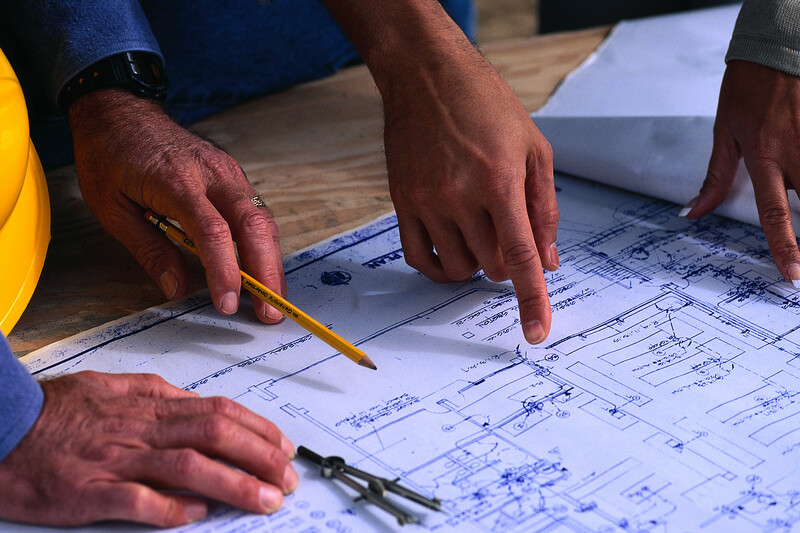 Checking for safe installation and possible areas that may need service or replacement by an HVAC specialist. All accessible ducting is also inspected. The is a fiber insulated room vent. Having good air air flow and low moisture is very important. If you have low air flow or high moisture in your HVAC system, mold can grow in this insulation fiber. The Emergency pan is angled to the corner. The pan will not drain properly and will rust in the corner after being used. The aux. drain openings are sealed. Both units will rust out at the seams. If the main lines stop up the water will accumulate inside the units. There could be as much as 3 inches of water inside the condensate pan. The only way the condensate can drain out is at the seams of the unit. 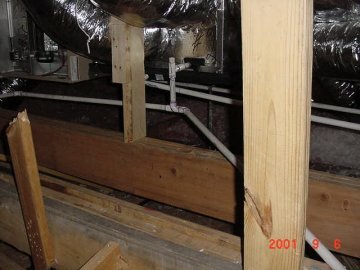 The main drain lines are tied together in the attic. If the common line becomes restricted both units will have the mail lines stop up and backup. Freon line insulation stops before line passes through wall. Freon lines are not insulated inside walls or in attic. Will drip in walls and attic. The ducts have been spliced poorly and will have lower air flow. Just because it is a new home and the city has permitted and signed off on the final review doesn’t mean there are no problems. The builder has placed a bucket under the heater vent stack because it leaks from the roof level. He hopes you don’t notice!